We got in touch last October via e-mails regarding the Beach Mk5B which I bought from a Belgian collector Rick Vonken,in December 2002. 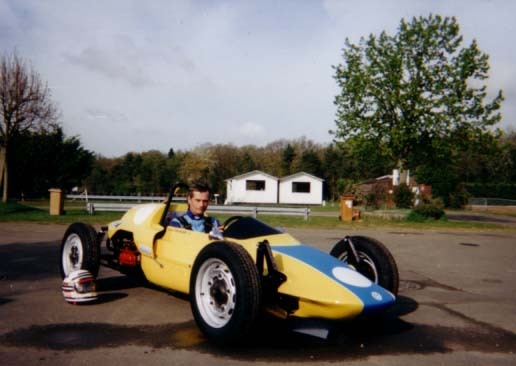 Rick had purchased it from a Belgian garage owner but the history of this car is a little dim and it does not have any more the chassis number plate. 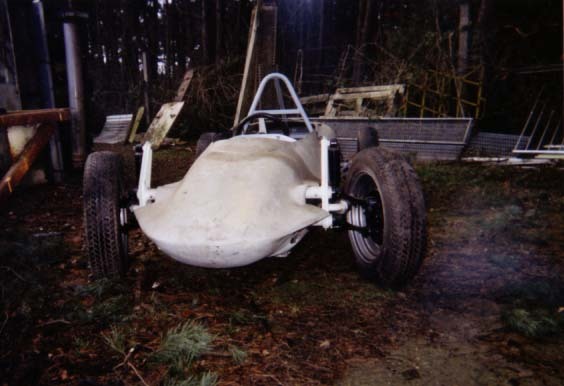 According to the Belgian garage proprietor the car was raced in the Netherlands in the sixties before being sent to Belgium. Looking up your site I see that Gene Beach sent 15 off his cars to a Ben Pon, could my car be one of these? 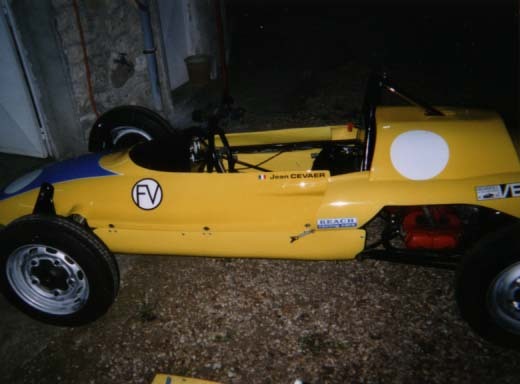 After 13 months of hard work, Philippe Le Nech, a friend of mine who is a sport car mechanic and an expert of single-seater cars, has competed the restoration of my Beach with the following results. 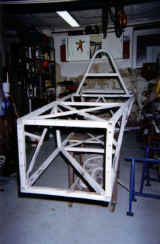 The chassis has been completely freed, sandblasted and painted dull black. The body has been repaired and painted by a specialized, coachbuilder who spent 100 hours on this work. As a colour we have selected the double yellow currently used on the VW New Beetle. 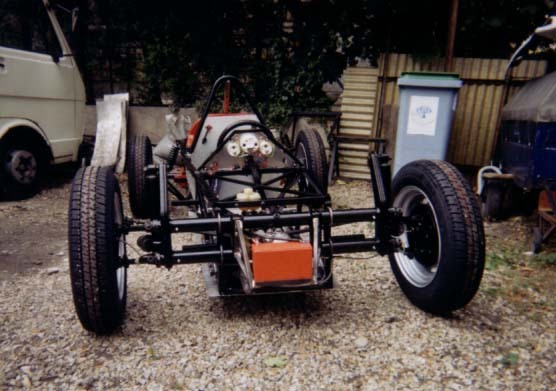 The links between body and chassis have been modernized with connecting "zeus" in order to be more easily dismounted and reinstalled. The trunk on the rear hood which had numerous apertures on the sides and on top to improve engine cooling, see photographs, has been rebuilt. You will notice on the front of the hood two foils which are not seen on the hood of the original Mk5B, the one before the last owner, whom I also met, does not know when this modification was carried out. The car I collected had been white filled or cemented but the original colours could have been black then orange or vice-versa. 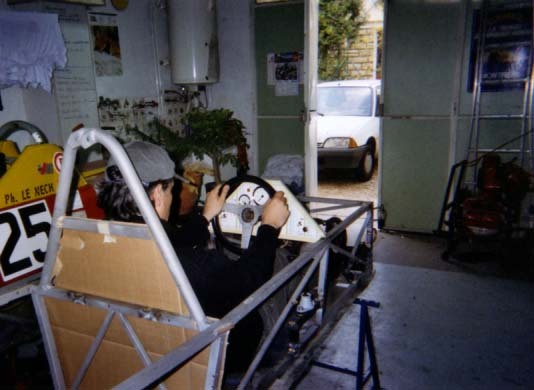 The chassis has not been modified and only the pedals have been recentered and the gear box connection elevated by 15 centimeters to be more easily connected. 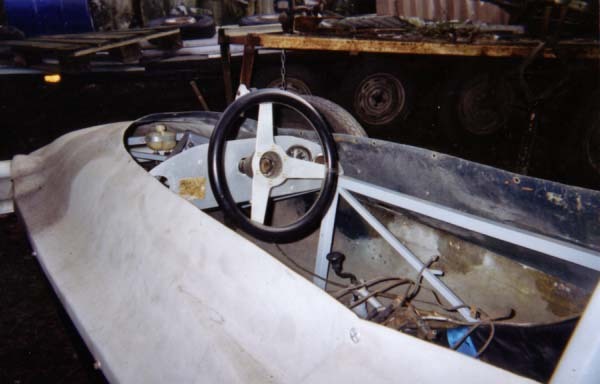 The original dashboard was a simple aluminium plate in the shape of a third of a circle. 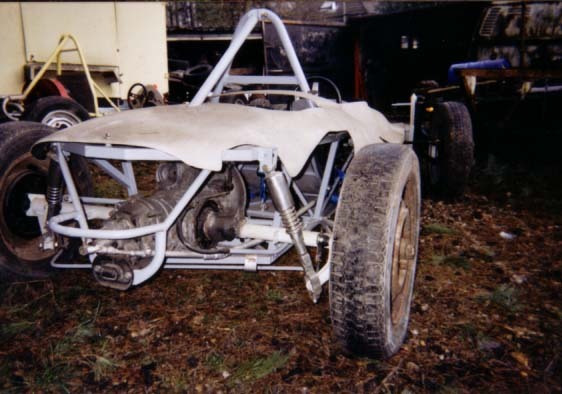 It has been rebuilt and strengthened with a tubular frame. The instruments, rev-counter and pressure gage, which were no longer present have been replaced by VDO Cockpit Royal Series equipment. The harness has also been replaced. It is a six point Willans harness. The wheel is perhaps not the original one but is a certainly from the period. It has three branches and is of the make Personal. The fuel tank had been lost and a new one was installed with a capacity of 20 liters. It is placed against the separation plate between engine and cockpit. The rod is the safety bow, which is detachable and goes through the rear hood, has been chromium plated. The rear brakes, master cylinder, 5 holes drums, lining, wheel cylinders have been replaced. The tyres, Firestone 155x155, are new as well as the 5 holes rear wheel rims. The rear shockabsorbers have also been renewed - they have been positioned further back than on the original Beach Mk5B. The back part of the car has obviously been modified at one point. 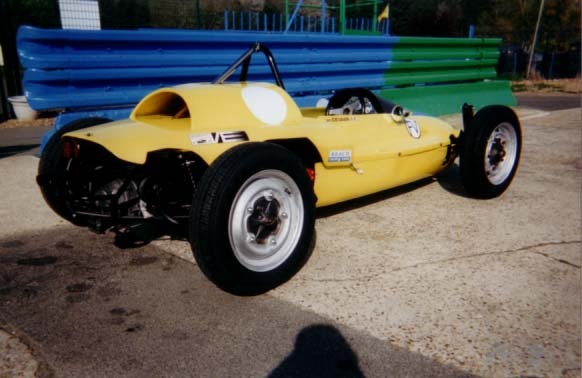 But, regarding the front part, only the brake linings and the wheel cylinders have been changed. All the parts are certified and were purchased from Cox specialists in France and Belgium. The engine has not been touched it was taken from an other Beach car belonging to Rick Voncken. 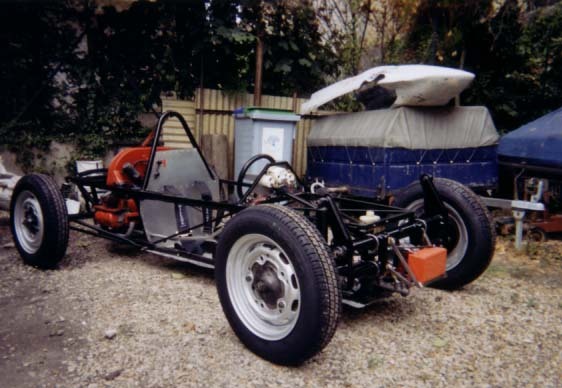 It is a 1300 cc engine, originally rated at 45HP. It was fitted a new with a 12V VW starter since the original one was missing as well as the connecting wires. 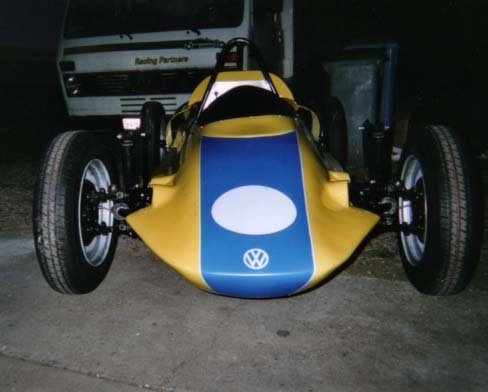 The exhaust was also missing and Philippe Le Nech has designed and produced a new one from a VW Cox "4 in 1". The clutch, of the free thrust bearing type, has been revamped has well as all the electric connections. 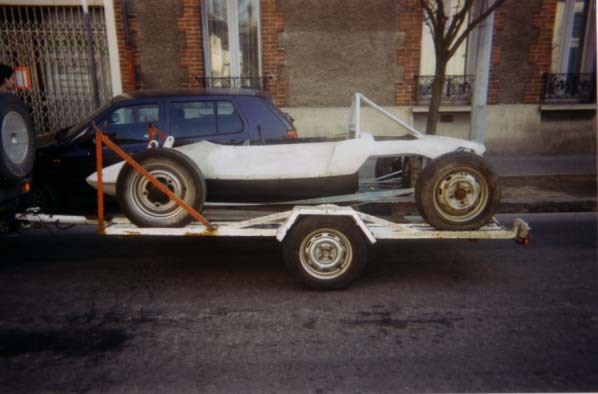 The car, ready to go, has a weight of 410 kilograms. 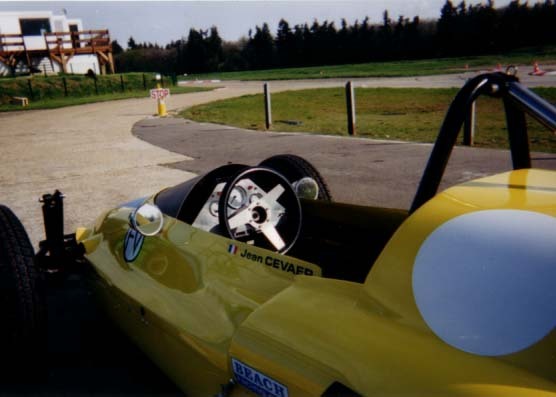 The first track trial took place on April 22 on the Bois Guyon track, 60 miles South of Paris.